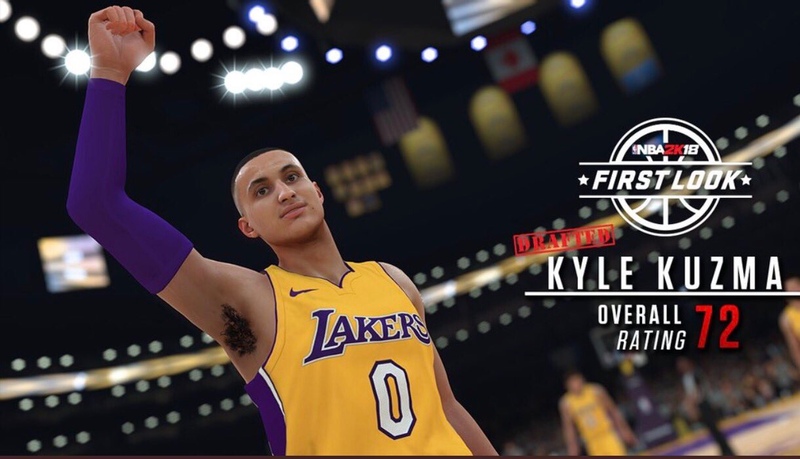 2K has released quite a few NBA 2K18 screenshots and player overall ratings today. Check them out below and post your thoughts. 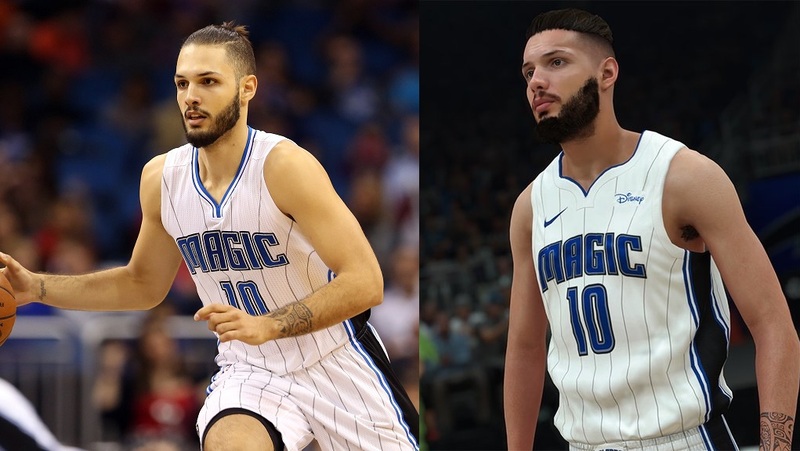 Let’s not forget what Evan Fournier looked like in NBA 2K17, before they fixed him. The Magic need a re-brand on gawd. I wanna see Eric Bledsoe and Iggy I know they probably won't show them.but they suffered from the action figure body for the last 2 years. The Jerseys look incredible this year.. 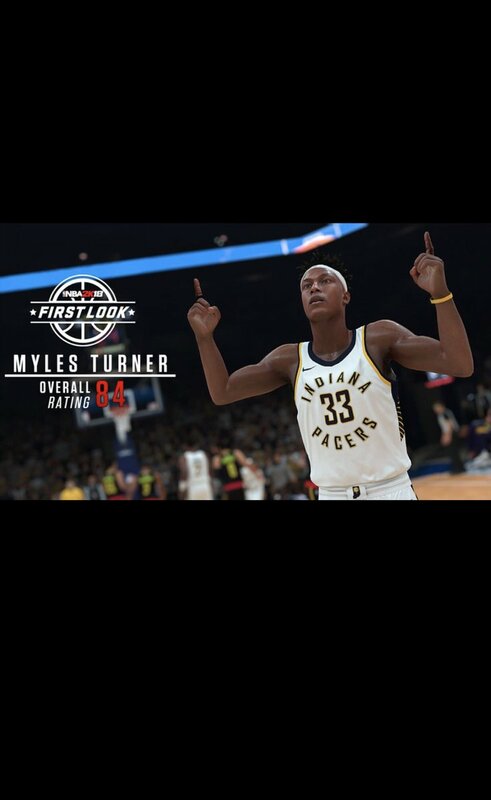 I love it.. thats was the only thing i always hated about 2K games but they did it absolutely perfect! The new tech is sweet. I love how the color pops on the new Nike jerseys, as well. Represented flawlessly in the game imo. I give a lot of props to NBA2k because they listened to the fans. They corrected everything that people complained about last year. We hated the body types and they made it a point of emphasis to fix it. Some other sports games still have the same goofy player models they had on last gen.
Looks the same as last years after it was updated. Likeness is spot on, but this is the second player I've seen who is covered in tattoos in real life, but has none in 2K. It's not a deal breaker, but some of these guys are defined by their ink and it separates them from other guys from far away in certain camera angles. Kuzma's face seems scanned I wonder why no tattoos though, maybe an early build. Blah lol Rose injuries and all is still a pretty good player. Yeah, all jokes aside, he actually had a really underrated season last year and is probably gonna be a much better pickup for the Cavs than most people expect. When was it that a tattoo artist had asked 2K for money to gain the right for his tattoos to be in the game ? Maybe that's why. Please update DRose's hair. While on the subject, please update Derrick Williams and give him his dreads as well. AFTER it was updated. That doesn't look like after the update, unless I'm just mistaken. Either way, it's not a scan. Noooooo way Rose is an 78. He averaged 18 ppg on 46% shooting last season. Especially when Russell, an inferior defender, is an 80 and he only averaged 15 ppg on 40% shooting. Well in that case, it looks way better. How come the first post doesnt get updated with all the screenshots? Would cause less hassle in finding the rest. Rose ranked as a worst defender than Russell last year. Russell has more passing skill, Rose can't shoot 3's, and he's probably lacking in durability too. Look a million time better. I'm not liking how dark all these pics look though. 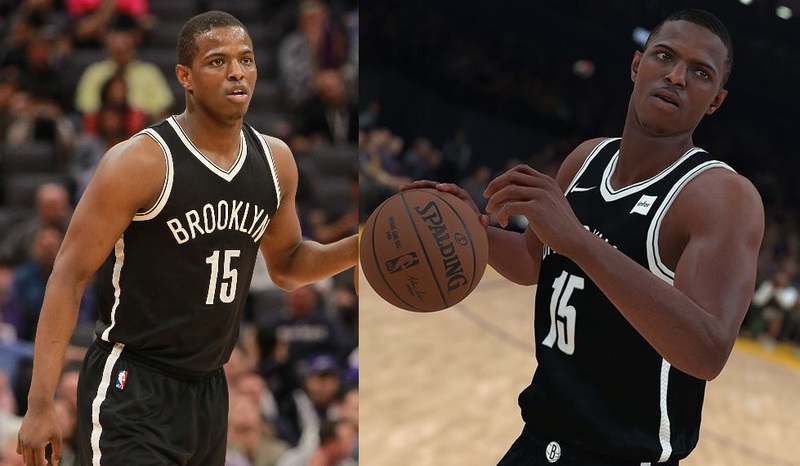 This comparison to real life just shows how far 2K still has to go to get the lighting down. 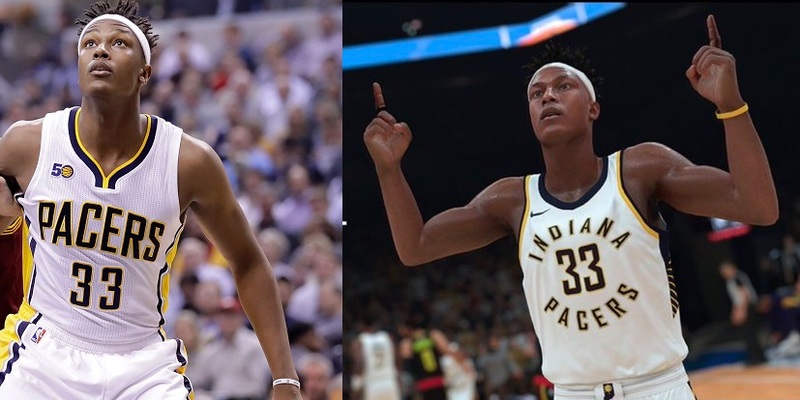 Personally, if guys aren't getting scanned to get their correct hairstyles in the game, I'd just rather 2K do their best to make them without the scan. 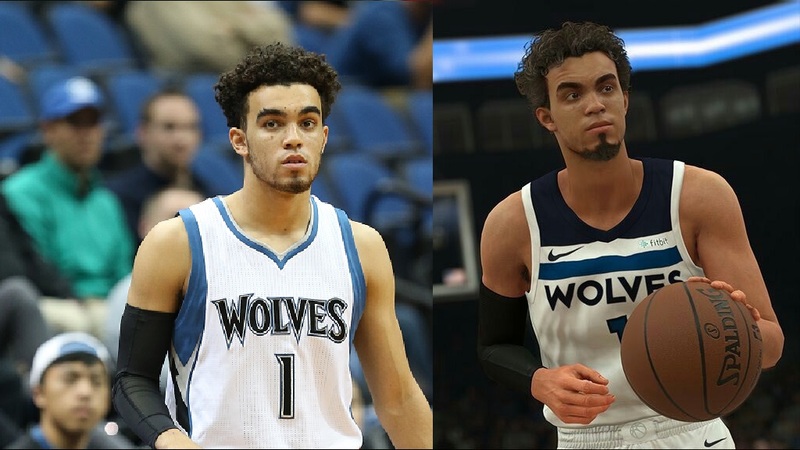 LD please get the artists to update Tyus Jones. He's not a star but he's almost as off as Evan Fournier was. Like I wouldn't even want to be in the game being this off. It's exactly the same as last year. 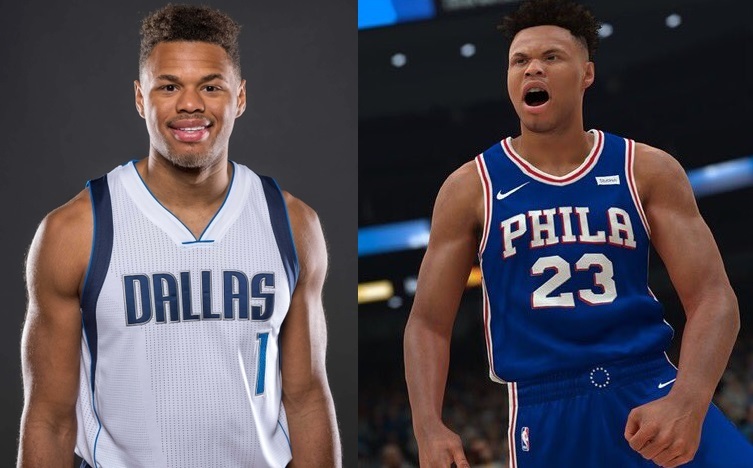 Justin Anderson need a beard as well. Wrong skin tone and wrong hair style. I'm not even a fan of his, this stuff just gets on my nerves though. Good luck. 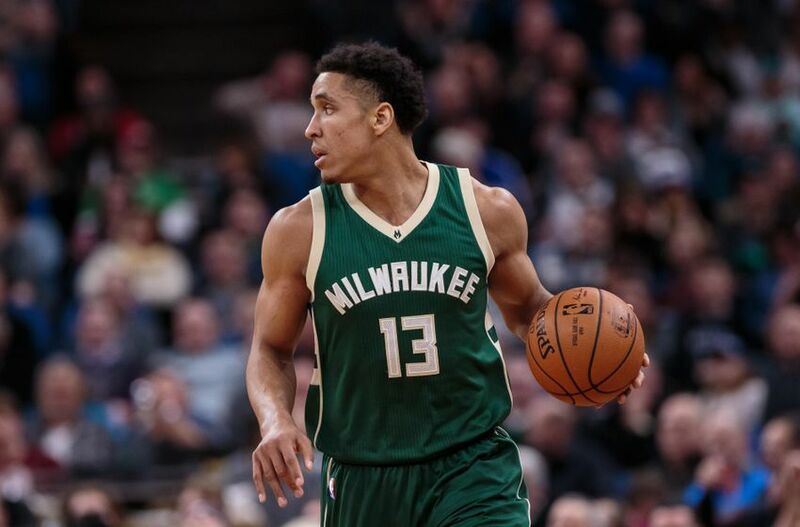 They still have Malcolm Brogdon with short, short hair, which he hasn't had in forever. And he won the Rookie of the Year. I'd hate to be a Bucks fan. Their players get no respect in 2K. Ha. May be my favorite screen yet, minus the lighting. I'm liking the legs for sure. 2K still has a problem with muscles/definition tho it seems. When John Collins has the same skinny arms as Ingram, there's a problem. Also sad they didn't get his big tat in the game. Oh, the look of the net is the star of the show in that one. Longer and thinner at the bottom. What's your point? His hair isn't like what you're showing in that pic, not even close. 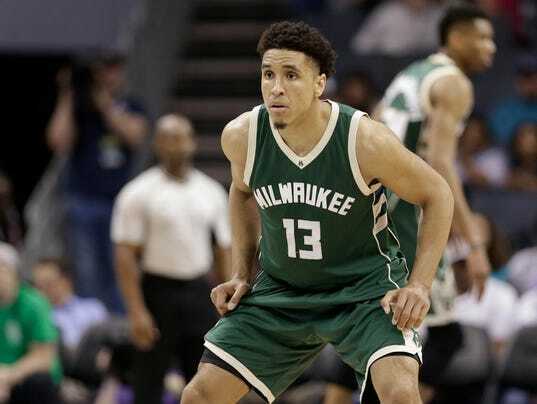 Where did you see Brogdon? Brice Johnson a 71? Ratings inflation confirmed. Blue in Clippers' jersey is totally wrong. Wassup with rookies not having their tats? John Collins has tats and I see they weren't added for the game along with Kyle Kuzma. His face looks pretty bad as well. I think the face is actually pretty close, they just need to update the hair. An example of "not even close" is the post above of Malcon Brogdon's hair (2k vs real self). Tyus Jones has curly hair and puffs out like a dome. Could it be better, yeah, but it's definitely close. 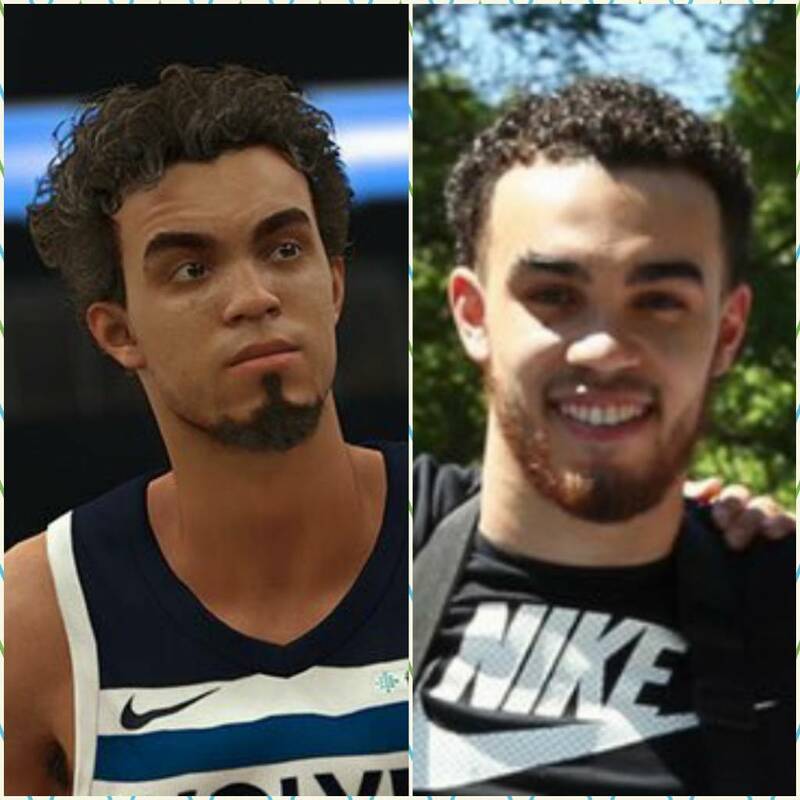 NBA2k18's Tyus Jones hair is "close" compared to what Brogdon has been given. He has a mini fro with tight curls not some wacky wavy mess. My pic is more current than what you posted. I think there's a silver lining in Tyus' hair. That is, from whatever cam you play at, it should look pretty much correct since it has the basic shape. Like you said, Brogdon's is much worse. He has a mini fro with tight curls not some wacky wavy mess. My pic is more current that what you posted. That was/is his hairstyle from 2016-2017, but you are correct that his hair/fro has tighter and small curls. I was simply looking at the overall shape. I'm usually a gameplay first guy, but I will admit that a big reason why I haven't enjoyed 2k as much as I usually do is because the Bucks are so poorly represented. Y'all are tripping lol. That's the same Brogdon from 2k17 and that was accurate until he grew his hair. If they update that it'll be 100% accurate. Idk what's going on with that Brice Johnson pic though. It looks so low quality and pixelated not to mention the completely off Clippers jersey, which makes no sense given every single jersey we've seen has been 100% accurate. This has me thinking that may be an alternate because that blue reminds me of the old San Diego Clippers blue. None of the rookies do so far which leads me to believe that the builds these pics are from were just after they put the heads in and not the full arm and leg textures. John Collins of the Atlanta Hawks is missing his tats as well. Yeah, Brogdon is fine. But after having the wrong court colors, wrong jersey colors, anorexic Giannis, ps3 looking middleton, and more...it all starts to add up. Again, a neutral face while going up for a dunk. Not sure what's going on, it was fine in previous titles, as far as I know. I'm right there with you, but so far things have looked up for them art wise, though I still think they need someone to "notice" the smaller inaccuracies as I'm sure it's easy to gloss over with all the work they have to do year round and it's not possible for them to scan guys year round given player schedules. He looks like he's making a "stank" face to me. I do know however from prior experience 2k's facial animations on dunks usually trigger later into the dunks for whatever reason. Yessssss. Best Hawks rating pic ever. And that Clippers jersey is the only so far where the colour has seemed off. Clippers pick looks like an alternate jersey. Why else would it be so far off? 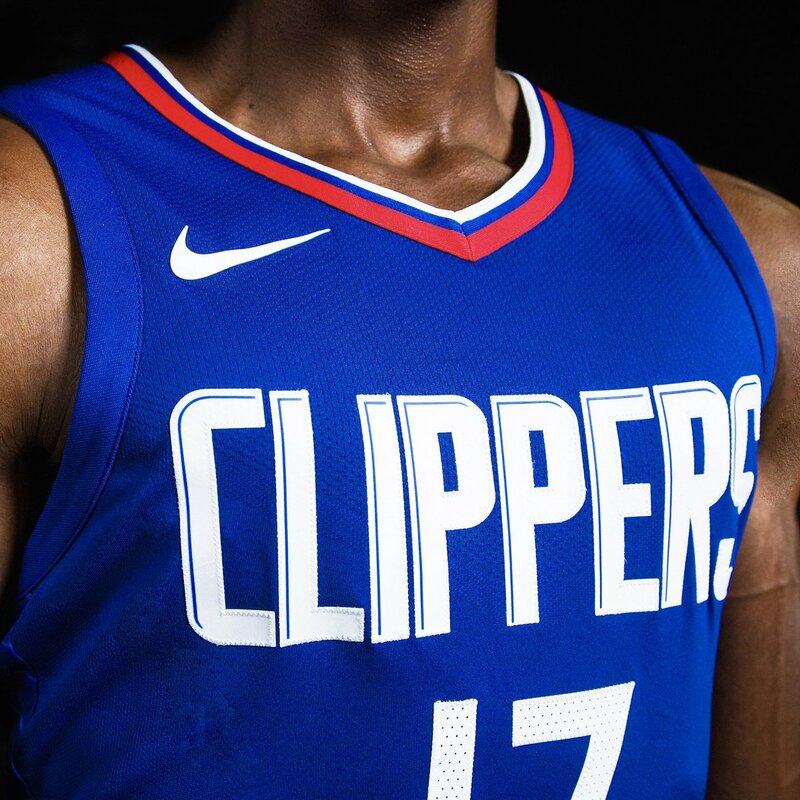 If it's entirely based off of the new Nike Jersey, the word Clippers is in White, and thus the jersey should be deeper blue. Wha? Fultz of the 76ers has his tat on his arm just to name one. As noted above Fultz has his tat, your reasoning could be true but I would like 2k to address this. We will be getting that 8th seed. He will get 8 guys like that this year. 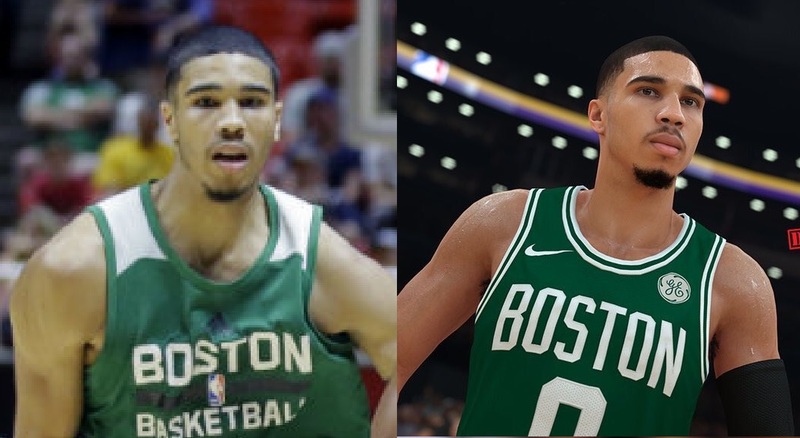 Why is Jayson Tatum wearing a #0 jersey? BI is my boy, but Collins is pretty nasty. He's going to catch some people this year for sure. Maybe a sign that these screenshots were of an earlier build of the game? Right. 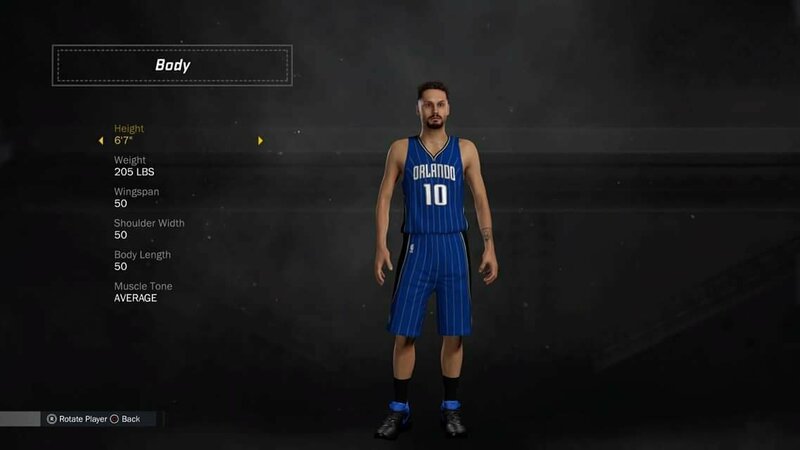 2k can't release a specific video touting how proud they are of the visuals in the game and talking about how each jersey was laser scanned and then have this kind of color discrepancies. They are going for photo realism and getting the colors correct 100 percent goes with that goal. As does correct bodytypes, which that same video bragged about having as well. Yet already there has been errors in bodytypes. Even LeBron in that very video was not correct, traps not large enough and shoulders not muscular enough. Honestly the 2k17 upper body for LeBron was pretty spot on besides maybe a little too large arms and obviously the lower body was a disaster with the tree trunk calves and ankles, which thankfully are slimmed down and much improved in 2k18 but the upper body could use some tweaking. Hope this all is corrected before launch. Only jerseys I seen that were just really off so far are the clippers away (icon?) jerseys. Other than that every other jersey has been spot on. He changed numbers after Summer League just like Jaylen did last year. 7/11 is dead but Trouble 07 was born. He was 0 in college. He couldn't get it right away on the Celtics because Bradley had the number - once Bradley was traded to the Pistons it was his to be. 2k isnt the first to laser scan jerseys, they also arent the first to laser scan jerseys and the color be off. He switched to #0 when Avery Bradley was traded. Yeah I know his name, just was asking if that's who the comment was about. The Ingram strikes back. I'm not one who gets hung up on ratings, but Ball being 4 points higher than Ingram is interesting. Dang the new 2k really is sim . Ingram looks great. Want to see the hi-res version of that pic. They said he loves nba basketball so he likes the details. If you ask me they did a bang up recovery job and more than expected. At this point people are bored and nitpicking anything not truly perfection. Its a short cycle and theyve done a lot from what we've seen. Yeah I'm excited as hell to see this game graphically...... can't remember the last time graphics were one of the things I was excited about. Haha that's even better than 7/11. The Clippers road blue is the main issue from an art perspective, and missing tattoos (might be a legal issue) for heavily tattooed players. How many of you guys have tweeted Ronnie about a fix if that's not already a day 1 thing? Some one did for Mike Conley's hair and he said he'd text him to try to get a new scan from him. Instead of coming to OS and complaining about 1 of 99 things wrong, get to them before release because i believe they can tweak things until the day 1 patch. Silly comments about how did they scan anything when you've seen plenty of it is counterproductive folks. If you've not noticed, the organized detailed threads pointing out things to be corrected gets noticed the most. ....and as we can see 2k does look at feedback even if only in certain areas. Some of tou guys haven't told them they did one thing right but have only inaccuracies to talk about. How do they know what to keep and what they did well of we dont say? I've found Twitter to be more effective in presenting ideas/suggestions to the NBA 2K team. Best bet if for you guys to hop on Twitter and respectfully ask them to look at the changes you want made. They wont be that bad. Fournier for the win... 2k17 VS 2k18 him is the definition of redemption. Yes they will. They have nothing. Schroder, Bazemore, Prince, Ersan, Muscala/Dedmon is going to be a top 10 defense? Easily. Prince, Dedmon, Baze and Bembry are all solid. Bud is a great defensive coach. The offense will stink but it will be a top 10 defense. seen a lot of tweets to them about Ingram I really hope they update him, especially with more tats. 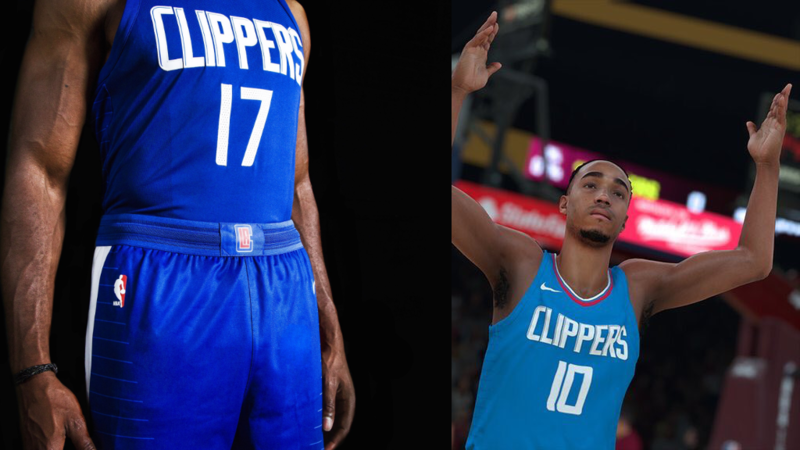 I know we all have enough reasons to believe that 2K got the wrong color for the Clippers jersey, but what if the photos are the ones with the wrong color? Highly doubt it considering the Clippers official twitter page also has their blue jersey in a deeper shade of blue.